by TaMara (HFG)at6:15 pm on January 20, 2019 . It has 22 Comments. I’m taking a hiatus from politics for a while. Here’s a recipe I played with this week. Love the people in my life who look forward to me experimenting with new recipes and are willing taste-testers. I have a bunch of Food in Fiction recipes on the cooking blog, I love finding or recreating recipes in novels I’ve read. One of my very favorites was the Lane Cake from To Kill A Mockingbird. 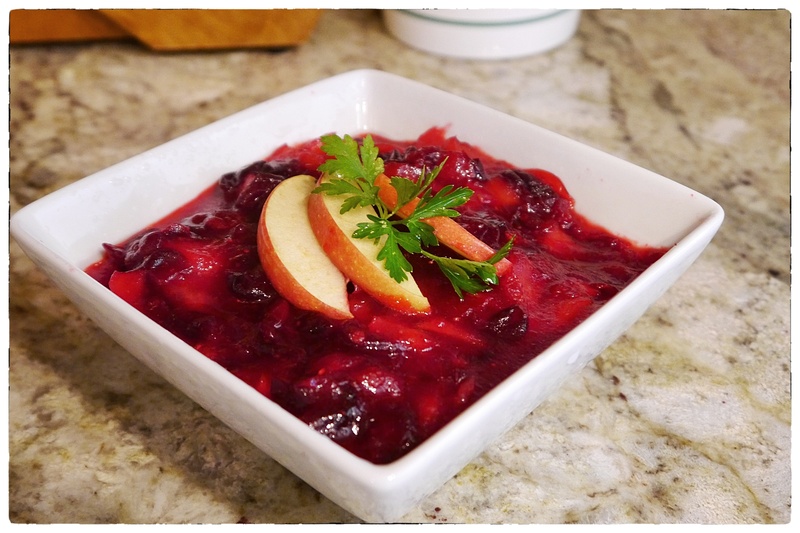 So when I started writing, I wanted to include foods in my books that match recipes on my blog. In my newest endeavor, I have included a little Turkish Cafe as a part of the local color and I wanted to try out a few pastry recipes to use in the book. This was one of the simpler (and not deep fried) that I decided to give a try. 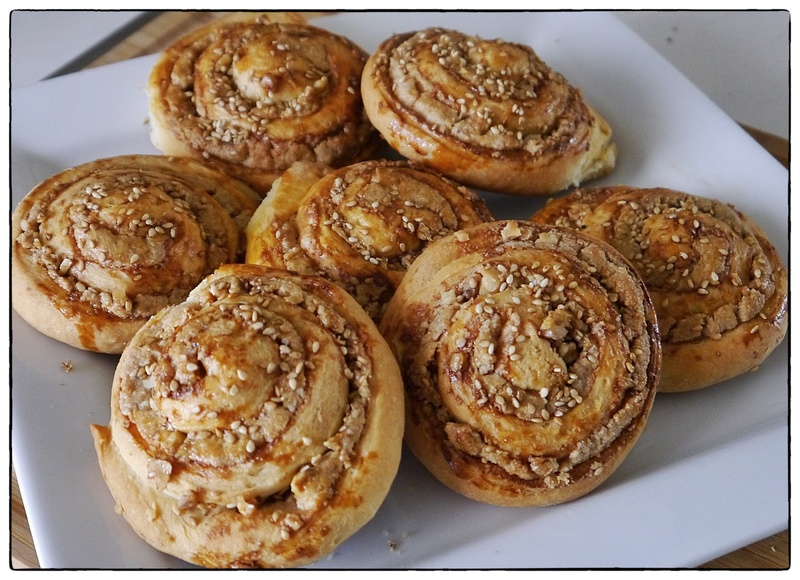 This is not the definitive recipe – if you Google Tahini Rolls you’ll find dozens of variations. Everyone’s grandma must make her own version. This one seemed the easiest to replicate. Warm milk, butter, oil and sugar to 90 degrees (F). Add packet of yeast and mix gently. Mix together flour and salt and add, 1 cup at a time, to the milk mixture. Blend thoroughly and mix until it forms a soft ball. Knead gently for 2 minutes. Remove to a lightly oiled bowl and let rise until doubled. Meanwhile, mix tahini and sugar together until smooth. Chop walnuts. Divide dough into two balls. 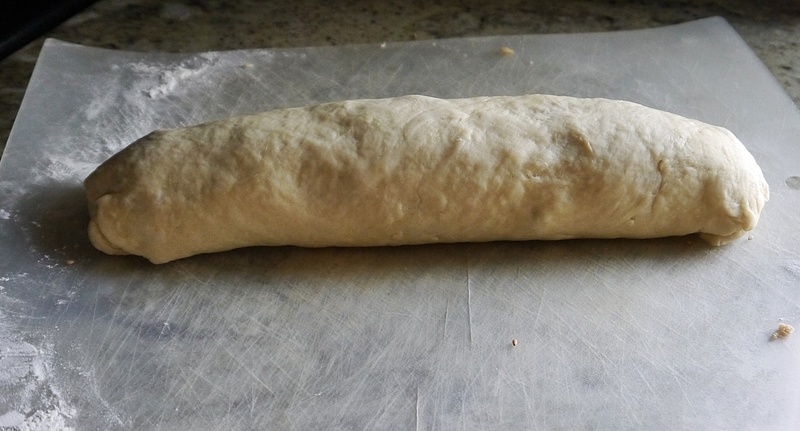 Roll one of the balls out until very thin (but not thin enough to tear). 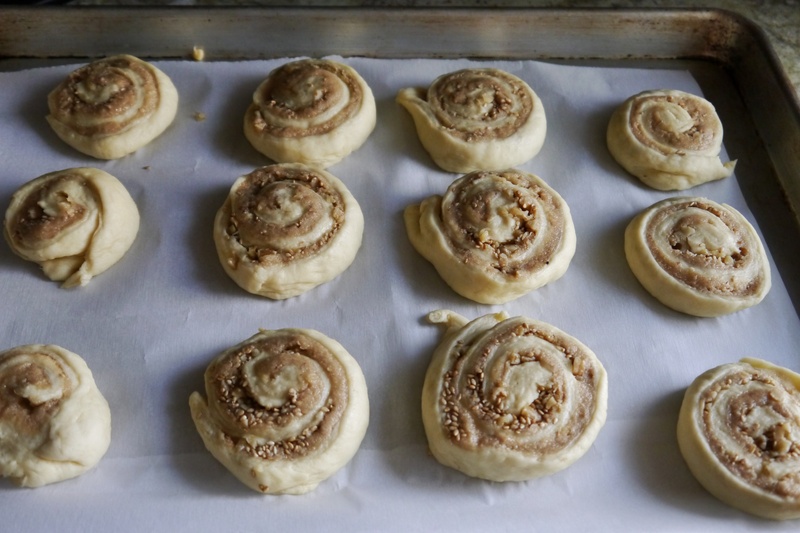 Spread ½ of the tahini mixture over the rolled dough. 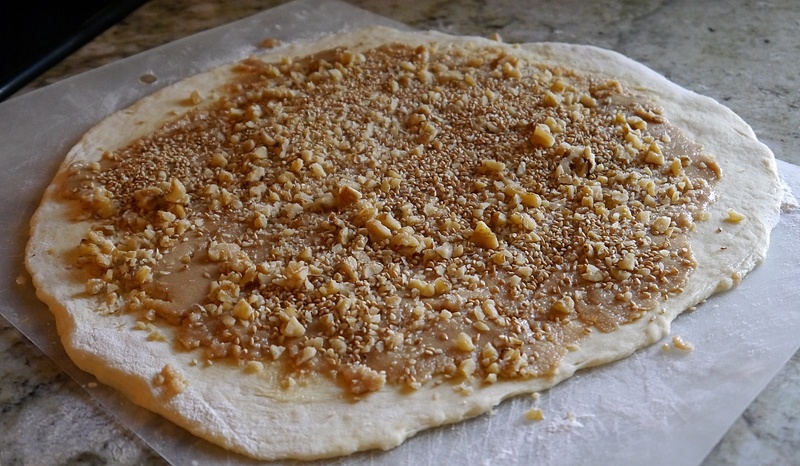 Sprinkle half the walnuts and 1 tbsp of sesame seeds over the dough. Roll up into a jelly roll. Slice into one inch thick pieces. Lay flat onto a baking sheet. Gently flatten. Repeat with second ball of dough. Mix egg yolk with a bit of water and brush over rolls. Sprinkle with sesame seeds. Bake at 350 degrees F for 25 minutes, or until golden brown. This post is in Cooking, Open Thread, Recipes and has 22 Comments. A Late Evening Snack: Flourless, Sugarless Chocolate Cake! by Adam L Silvermanat10:43 pm on December 26, 2018 . It has 70 Comments. My mother found a recipe for a chocolate cake made without flour or sugar in some magazine and brought it to me and asked me to make it. This was for two reasons. The first is she wanted to try it. The second is that she knows that my system does not react well to flour, sugar, or other refined carbohydrates. So today I took out the emergency tiara, the matching apron and oven mitts, and the wand and conducted an experiment with a little long distance collaboration with TaMara. Specifically, I don’t have a large food processor. I just don’t have use for one. And the recipe, as you’ll see below, calls for mixing everything together in a large food processor. After a couple of emails back and forth, I went with her recommendation to just use my stand mixer with the whisk attachment. Before I provide the recipe, this one has some interesting items in it. Specifically avocados. The cake batter gets three and the frosting gets two of them. Instead of cake flour or all purpose flour, it gets almond flour. And instead of sugar, this cake gets honey as the sweetener. I also added a bit of vanilla to the frosting even though the recipe doesn’t call for it, as well as adding an additional 1/4 cup of honey to the frosting as I thought it needed a bit more sweetness. The cake is very rich. And it’s chocolateness is very rich. The texture is amazing, it is silky smooth. The flavor is a very deep chocolate with just a hint of sweetness. If you’re a dark chocolate fan, especially the dark chocolate that isn’t very sweet, then this cake is for you. Preheat oven to 350 F. Blend all ingredients in a food processor or standing mixer using the whisk attachment until smooth. Divide the batter into two 9 inch cooking spray coated cake pans for 20 to 25 minutes until done. Cool completely before frosting. Blend all ingredients in a standing mixer using the whisk attachment until smooth. Chill at least 30 minutes before spreading on cake. Makes 6-8 serving. When I assembled the cake I used a good quality orange marmalade in between the layers and to crumb coat the top of the cake. The next time I make this I think I’m going to make an amaretto* flavored whipped cream for between the layers and to crumb coat the top. I’ll garnish a slice of the cake with that same whipped cream. * You can use the liqueur of your choice: amaretto, Bailey’s, kahluah, whatever you prefer. Or you could just flavor the whipped cream with almond extract. Or orange extract. Or lemon extract. All of those would pair very well with this cake. This post is in Food, Recipes and has 70 Comments. https://www.balloon-juice.com/wp-content/uploads/2015/11/balloon_juice_header_logo_grey.jpg 0 0 Adam L Silverman https://www.balloon-juice.com/wp-content/uploads/2015/11/balloon_juice_header_logo_grey.jpg Adam L Silverman2018-12-26 22:43:122018-12-26 22:50:56A Late Evening Snack: Flourless, Sugarless Chocolate Cake! by TaMara (HFG)at10:44 pm on December 22, 2018 . It has 23 Comments. I was doing some recipe searching for a project I’ll post about later and sesame seeds were heavily featured. 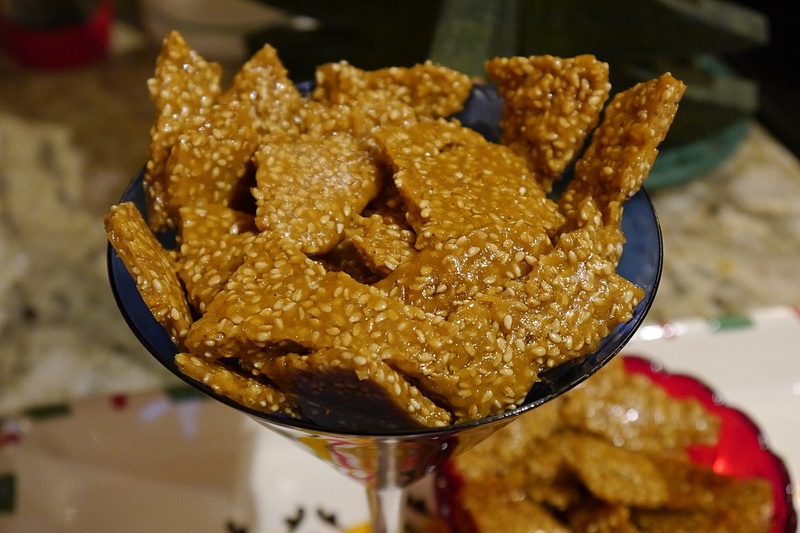 That put me in mind of Sesame Brittle. I thought it might be nice to have it to crumble over ice cream on the Sundae Bar on Christmas Eve. Such a simple recipe. No candy thermometer needed. I always use oiled wax paper, but I’m wondering if oiled parchment would work better. The heat of candy on the wax paper melts it in places. Difficult to peel off. In the saucepan over high heat, melt butter and sugar and stir to combine. 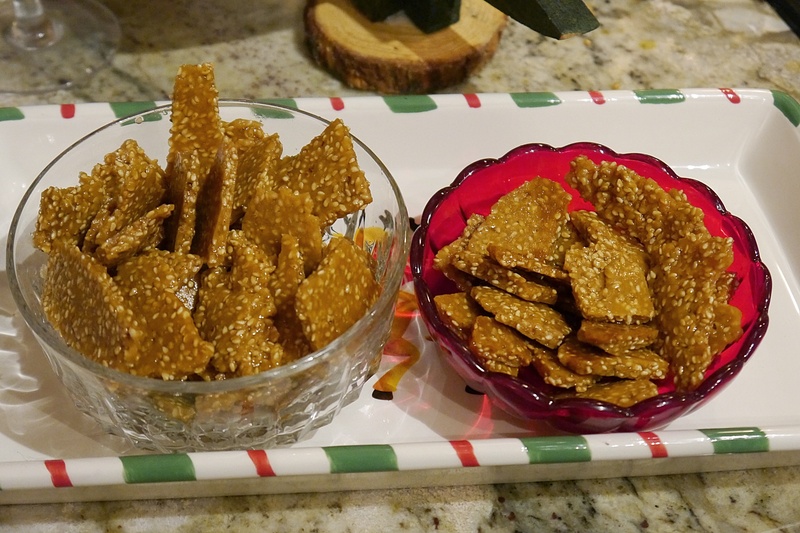 Without stirring, cook until mixture becomes a light to medium caramel color, about 3-5 minutes, then add sesame seeds and stir in. Pour mixture onto a well-oiled wax paper or well-oiled parchment paper covered baking sheet and spread into an even, thin layer, about 1/8 to 1 /4-inch thick, with a wooden spoon. The shape will be irregular but don’t worry, you are just going to break it into pieces after it cools anyway. Immediately shake a bit of salt over top of mixture and lightly press into caramel using the spoon. I used less than a 1/4 tsp for the entire mixture and that was plenty, though your mileage may vary. Allow to set-up for about 10-15 minutes. When brittle has hardened and cooled, break into pieces and enjoy. Store in an air-tight container. And then hide or it won’t make it to the party. We skipped the annual cookie baking party – but the recipes for the cookies pictured above and below are here. 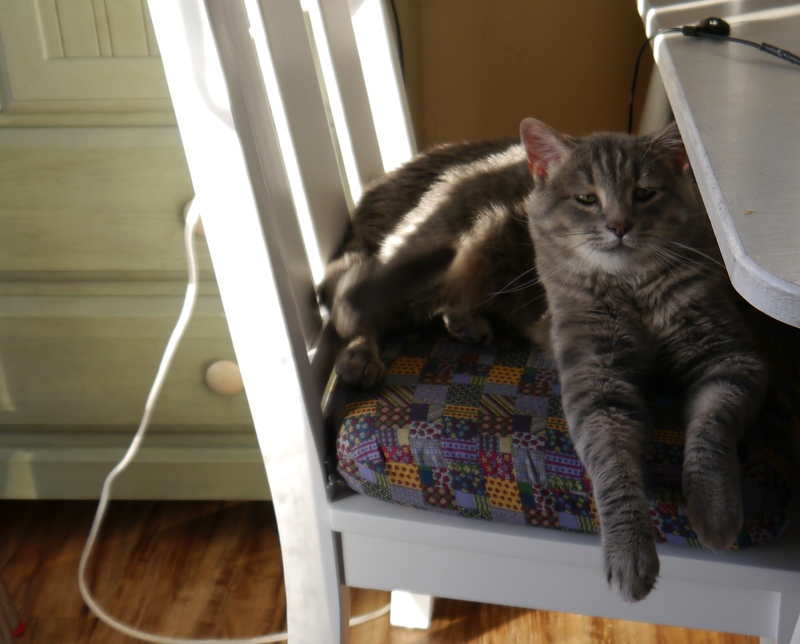 This post is in Cooking, Open Thread, Recipes and has 23 Comments. by TaMara (HFG)at9:05 pm on November 18, 2018 . It has 105 Comments. I’m not cooking this year, so it gives me some time to put together a list of recipes links for Thanksgiving. Spatchcock Turkey is the only way I make it anymore and you can find the recipe here. This post is in Cooking, Open Thread, Recipes and has 105 Comments. by TaMara (HFG)at9:00 pm on November 16, 2018 . It has 97 Comments. Wow, what’s got into the food goddess? Another recipe? Quick someone check her for a fever. 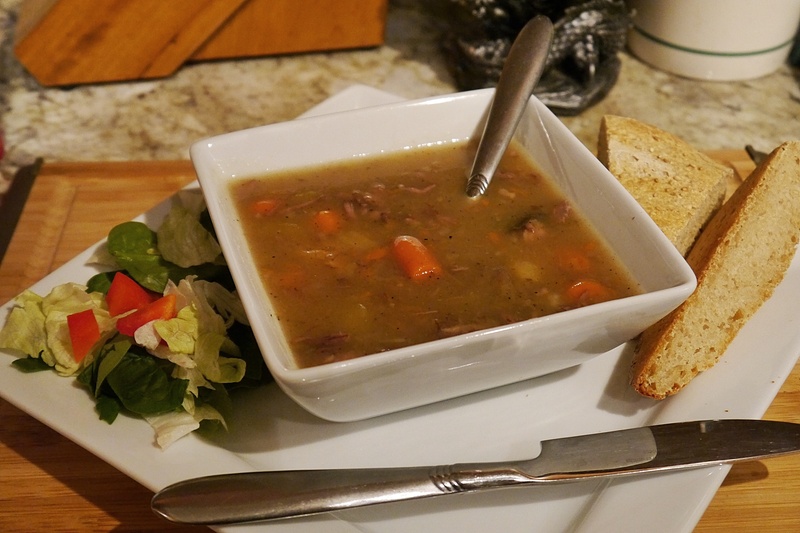 I used the multi-pot to cook up a big batch of Bourbon Beef Stew (recipe here) for dinner guests. I sauteed the beef in the multi-pot, along with the onions and then added the remaining ingredients and used the soup/stew feature to pressure cook for 20 minutes. I then used the slow-cooker feature to let it cook for the rest of the day. I have been using potato starch in lieu of flour for gravies and thickening. It makes for a satin texture and I really like it. Bonus, gluten-free. The bread was not gluten-free and we had two loaves of it. Using this recipe and my new KitchenAid. 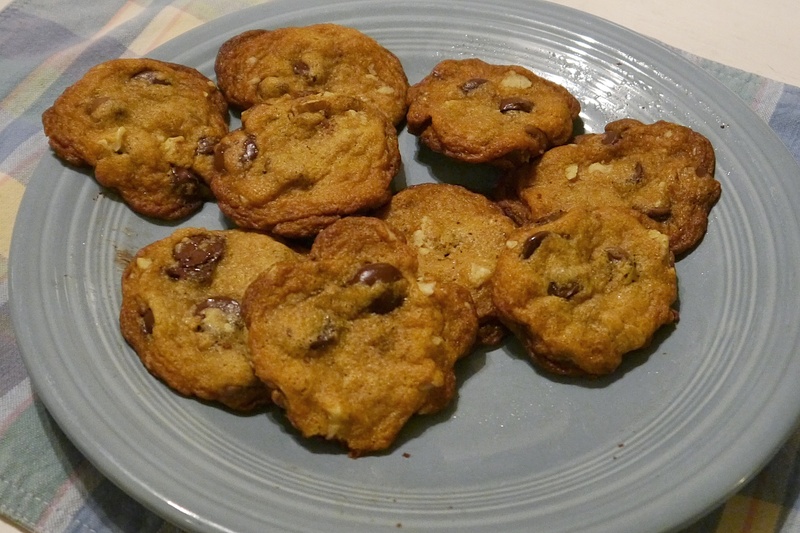 And for dessert, Dark Chocolate Chip Cookies (recipe here) – again using the new KitchenAid. I’m enjoying it and can’t wait for the big Christmas cookie baking session in December. I am not cooking Thanksgiving this year (though there still seems to be a 12lb turkey in my freezer). I’ll be traveling instead. That means I will have time on Sunday to put up a post with some Thanksgiving recipes, links to many more and be around to answer any pressing recipe questions. What’s on your plate this weekend? Open thread. This post is in Cooking, Open Thread, Recipes and has 97 Comments.